The drums of Pictdom sound? I am a fan of Sword & Sorcery. I am a big fan of Robert Howard’s Conan and completely in love with Karl Wagner’s Kane, and there are a good number of things I really like in Michael Moorcock’s Elric. I also am not much of a fan of what is in this current decade called Epic Fantasy. (Probably going to be named something else again soon.) It’s mostly the 1,000+ page trilogy format that isn’t doing it for me. It’s not so much the number of pages, but the broad scope and also the endless cliffhangers that keep you waiting for answers for years and decades. At the same time, I have searched my feelings and know it to be true, I don’t have the ability to commit to multi-installment works that will leave readers hanging with an unfinished story when I lose interest halfway through. But in Sword & Sorcery you generally get very tight stories with a clear focus on actual stuff happening, combined with a short length format. It was actually my first reading of Conan that made me consider writing as a medium for my creative ideas in the first place. So writing Sword & Sorcery seemed the obvious choice. But success has been very limited so far, with a long break in which I pretty much forgot about the whole idea entirely. The format of Sword & Sorcery, with it’s length and scope certainly seems like the right one for me, but I am having doubts if it might be the genre that is holding me back. Conan is fun and Kane is great. But while they are both very entertaining characters to read about, it’s more with a morbid fascination. (Which in the case of Kane seems to have been Wagner’s intention.) Everything that they stand for does nothing for me or is outright repulsive. While I consider Conan to be honorable and behaving rational in the environment he inhabits, his values mean nothing to me. And for Kane there is one simple word that perfectly describes him. Evil. Like the Joker in The Dark Knight, observing him is fascinating and I dare say meaningful, it is not the exploration of evil that fuels the flames of my creativity and imagination. While Robert Howard was a great writer, I am not Robert Howard. The drums of pictdom are not sounding in my soul. Conan is fun, but he is not moving me. Neither daring the world to try to impose its will on me and then crushing it to assert my individual autonomy, nor struggling with living in a society that doesn’t value or respect my personal inner life are things that are reflecting my own ideals and aspirations. 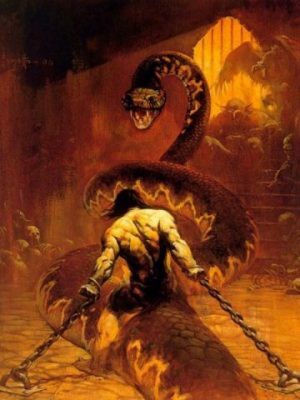 The craving for conflict and need to prove my worth that is so central to the Sword & Sorcery genre has nothing to do with what I value and consider meaningful. Instead, the works that have much more relevance to me are things like Princess Mononoke, Avatar, and The Empire Strikes Back. Which now that I think about it are all about striving to be good and freeing yourself from greed, hatred, and delusion. (It’s all Zuko that interests me in Avatar, I don’t care much for Aang.) Then there is also Raiders of the Lost Ark (which I admit has a lot of pulpy action concealing a much more interesting subplot), Ghost in the Shell, Mushishi, and Seirei no Moribito. And one very significant work for me is Andrzej Sapkowski’s Witcher and the videogame series that expands on it. In many ways, The Witcher exists within the context of Sword & Sorcery. It has all the ingredients, but it doesn’t become a story about a great warrior displying his might and challenging the world to try and fight him. Instead, in many ways, it is a rejection of these things. Geralt is an awesome badass warrior with inhuman powers, but he is a character who looks inward is a compassionate and humble as you can expect a man to be in a world where it’s going out of style. It’s a series I have not been thinking about much in terms of my own writing because the setting has a very medieval European style with a culture in which people are deliberately thinking and acting in the terms of Europeans from the 1990s, while Kaendor is meant to not be just uneuropean but actually unearthly and I want to attempt to portray a different mindeset “inspired” by ancient peoples. But I think thematically it’s actually quite appropriate as a comparison or reference point. In its issues and meanings itis one of the closest works to what is driving my own need to tell stories. And it does so in a world of magic and monsters, which is a really nice bonus. Martin, this may be a little off-topic, but you don’t have a contact page, so I can only reach you here. 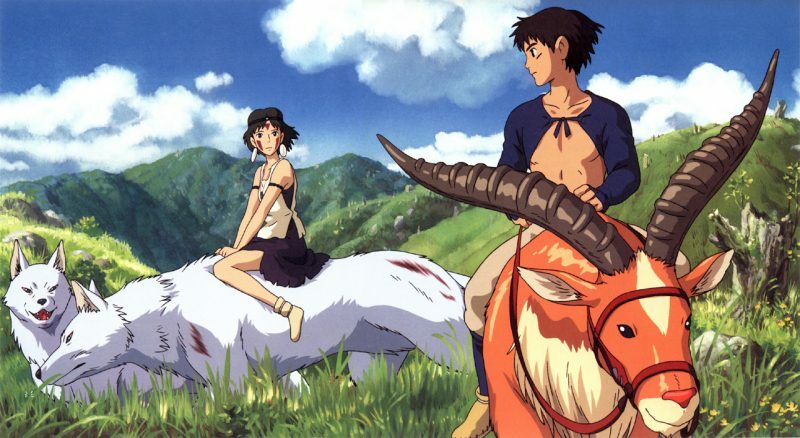 While I’ve never seen Princess Mononoke, I am aware that Miyazaki in particular likes to use a story structure that isn’t driven by conflict in the same manner as the three-act structure. It’s called “kishoutenketsu,” and do look it up — it’s a very interesting way to look at stories. Regarding something else, I’ve dedicated a blog post to the comment about heroism that you left on my site, and while the tone may be a bit harsh, know that I never make it personal and that I don’t see you as malicious or dishonorable. I would link the post, but I don’t think your spam filter would like that. Kishoutenketsu is a very fascinating approach to storytelling. Though it is an approach that does not depend on conflict, it works just as well with it. I even think it makes conflict much more interesting because it leads to a rather meaning of “winning”. It does not have to end with one side beating the other in a direct final confrontation, which I think would be hard to do within the conventions of the three act structure. I think Princess Mononoke has some of these elements, lacking any proper main antagonist and the big action finale not being a fight between opposing sides. Kishoutenketsu (henceforth KSTK) is absolutely ideal for slice-of-life stories, since those stories don’t center around defeating an opponent. The anime Azumanga Daioh is an excellent example of the slice-of-life genre. The KSTK approach is why to Western eyes, some anime seems strangely paced. Gundam Wing’s plotting now makes sense to me after reading about KSTK; the lack of a central, overarching enemy to defeat puzzled me at first, yet the show always held my interest. Previous Previous post: Were viedeogames really harder back then?